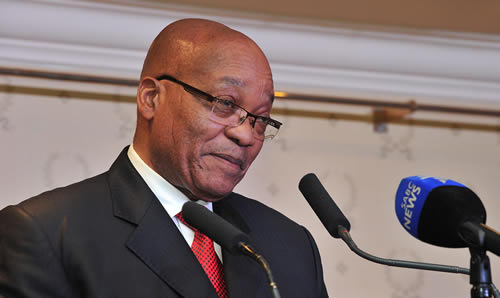 South African President Jacob Zuma under the spotlight for allegations of corruption and cronysim. On October 21st, 2016 South Africa decided to withdraw from the International Criminal Court following Burundi’s decision earlier that week. In the midst of increasing criticism and accusations of anti-African bias, the International Criminal Court (ICC) could be on the brink of an exodus of its members. These criticisms do not exist within a vacuum since the ICC does in fact possess structural problems that limit its effectiveness, objectivity, and efficiency. South Africa’s decision however exists within the pool of disastrous political moves on the part of the current president, Jacob Zuma. After more than 14 years in existence, the ICC has only prosecuted nine countries, eight of which are located on the African continent. More importantly, every individual convicted thus far has been African. The disproportionate prosecution of African leaders, and the neglect of war crimes committed by the militaries of global superpowers has fostered disenchantment among African countries. Ironically, African countries were the most eager to establish the court and now find themselves in a bind as to their membership in the court. Furthermore, the court has actively turned a blind eye to crimes committed by wealthy Middle Eastern countries such as Saudi Arabia. Saudi Arabia’s active violence against Houthi rebels in Yemen, and the curtailing of the rights of its female citizens have been neglected by the court. Its tremendous global influence and wealth partly explain this neglect; Saudi Arabia’s position as a local supplier of oil means that it possesses an ominous bargaining advantage in international institutions. An indictment of King Salman could potentially lead to the United Kingdom and France (key partners with Saudi Arabia in the sale of arms) threatening to withdraw funding from the court in an effort to rescind their decision. Some characterise this bias as modern day colonialism in the sense that supranational institutions constantly intervene in the local affairs of developing countries often in an attempt to slow their progress. The excessive conviction of African leaders solidifies the perception of African continent as underdeveloped without any institutional capacity to improve its situation. The indictment of leaders introduces another stumbling block in the sea of issues which these leaders must confront including corruption, economic failures and terrorism. The United States government has refused to sign the Rome Statute (the article establishing the founding of the court), partly because of its fear of losing sovereignty over justice matters and partly due to its own obstruction of justice in times of war. US Marines have been accused of burning the corpses of Iraqi insurgents in Fallujah. Similarly, Britain is renowned for war crimes committed during the war in Afghanistan. African leaders argue that the court is yet another international institution which acts within the interests of developed, powerful nations. However, this view is skewed to some extent simply because the majority of the African cases before the court, with the exception of Kenya, Libya, and Sudan were referred by African governments themselves. Furthermore, the local judiciary systems in the majority of African countries are in dire need of appropriate standardizing measures to enable robust courts that would follow due process when trying incumbent leaders. Olympia Bekou and Sangeeta Shah note that most African states have yet to implement Rome Statutes in their domestic legislation. However, in South Africa’s case where inefficient and corrupt courts exist, withdrawing from the ICC permanently eliminates any appropriate model and technical advice upon which the government could strengthen its national judiciary system. Extended processing times and a perceived anti-African bias may exist, however the ICC operates independent from political influence and convicts on the basis of presented evidence rather than political affiliation and this prizes it as an effective judicial model for African countries to adopt. Why has South Africa decided to leave the ICC? Governmental sources cite the ongoing criticism for not arresting Sudanese President Omar Hassan al-Bashir (accused of genocide and war crimes) as the impetus behind withdrawing from the court. Under the Rome Statute, countries are obliged by law to arrest anyone requested by the court, however Pretoria refused to arrest al-Bashir. South Africa has therefore aligned itself with autocratic leaders who disapprove of the court and has subtly supported human rights abusers such as Kenyatta. Criticism may be Pretoria’s official reason, however Jacob Zuma’s previous claims that no sitting president should be tried suggests that the withdrawal was to protect himself from indictment. In light of numerous incidents of police brutality and crimes, Zuma may find himself under pressure as investigations ensue. South Africa’s President Jacob Zuma is under the spotlight for allegations of police brutality, corruption, and cronyism. Another criticism of the court which perhaps stands more ground is its extended, unjustifiably so, processing times for court cases. While international tribunals require a complex ascertaining, corroboration, and examination of evidence, the delayed processing times for trials lends itself to witnesses and victims losing interest and momentum for justice being lost. The notion that justice delayed is justice denied still holds weight today. Since its inception in 2002, the court has only successfully prosecuted two criminals. Failed cases include Uhuru Kenyatta’ trials for post-election violence in 2007; the reason for this failure was alleged sabotage and manipulation of evidence by the Kenyan government. Subsequent to this, the court dropped charges against Kenyatta which simultaneously crushed any hopes for the court establishing itself as a formidable force in the pursuit of justice. This failure lies in the court’s inability to corroborate evidence which was caused by its reliance on a allegedly corrupt government for evidence. Independent observers should have been dispatched on the ground in Kenya to ascertain objective evidence. Omar al-Bashir who was indicted by the court continues to travel the African continent freely despite being accused of crimes against humanity. In al-Bashir’s case the ICC now finds itself in an impasse since Sudan is not a state party to the court and thus no jurisdiction can be exercised according to the Rome Statute. Al-Bashir’s refusal to ratify the Rome Statute signals that justice cannot be served as long as he remains President. Thus, institutional failures on the part of the court (its jurisdiction being limited tho those few countries who have signed the statute) serve to delay the delivery of justice. Many cases under examination have been in this state for many years and this has a moral impact on victims. To see accused perpetrators of violence walk and travel free as they wish (Kenyatta) signals the absence of deserved justice and has severe emotional impacts on victims since they are unable to reach a state of closure. South Africa’s decision to withdraw from the ICC is consistent with mismanaged political actions under the Zuma regime. The sitting President has begun to revert democratic processes which were initiated under Mandela. Cronyism and corruption plague the government as was demonstrated by the ruling of the Constitutional Court of South Africa that Zuma violated the constitution when he failed to refund the government with public funds used to upgrade his private residence. Furthermore, Zuma’s links to the wealth and influential Gupta family have raised questions about transparency in government. Suspicion escalated when one of the brothers in the family offered Mcebici Jonas, the Deputy Finance Minister the position of Minister of Finance. Former public prosecutor Thubi Madonsela has released a report examining the influence which the Gupta family has over South Africa’s resources. The report investigates secret connections between the Minister of Mining Mosebenzi Zwane and the Gupta family whereby Zwane negotiated coal mine deals on behalf of the Gupta family rather than in the interest of the public. Following these negotiations, the Gupta family effortlessly acquired a trouble coal mine from Glencore and has subsequently monopolized coal supply within South Africa. Political opportunism and cronyism in South Africa occur simultaneously with violent protests in response to gerrymandering, deplorable provision of sanitation services, and worsening economic conditions. The Zuma regime is precariously positioned on the ledge of regime stability and could potentially risk the crumbling of its most fundamental institutions. Economic conditions and public disenchantment paint a bleak picture for South Africa’s progress. The International Criminal Court is not a panacea for international justice issues, however it remains a stable model in terms of objectivity and professionalism upon which many African countries can and should employ to improve their courts. While criticisms of the ICC’s functioning and inherent bias are understandable, membership in the court is something worth pursuing. South Africa’s decision to withdraw from the court could spur a domino effect of leaving the court across the continent which in turn will reverse the building blocks towards greater justice established in part by the International Criminal Court.